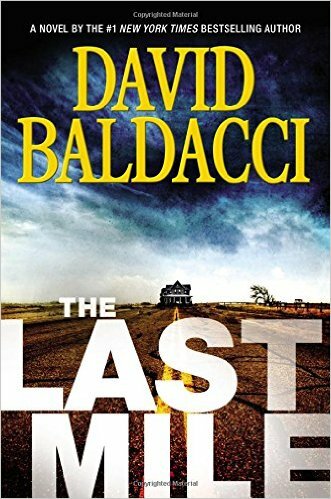 In his #1 New York Times bestseller Memory Man, David Baldacci introduced the extraordinary detective Amos Decker-the man who are able to forget nothing. Now, Decker returns in a very spectacular new thriller . . . Convicted murderer Melvin Mars is counting down the very last hours before his execution–for the violent killing of his parents two decades earlier–when he’s granted a surprise reprieve. Another man has confessed for the crime. Amos Decker, newly hired while on an FBI special task force, takes an interest in Mars’s case after discovering the striking similarities to their own life: Both men were talented football players with promising careers cut short by tragedy. Both men’s families were brutally murdered. And in both cases, another suspect came forward, years following killing, to confess on the crime. A suspect who could have been telling the truth. The confession gets the potential to make Melvin Mars–guilty or not–a free man. Who wants Mars outside of prison? And why now? But every time a member of Decker’s team disappears, you understand something much larger–and more sinister–than only one convicted criminal’s life hangs inside the balance. Decker will be needing all of his extraordinary brainpower to prevent an innocent man from being executed. This entry was posted in Mystery and tagged The Last Mile (Amos Decker series).